I've been wanting to do a running tour with Philippa from Run Cape Town ever since I did a post on Run Cape Town for the blog (you can view the article here) and during our recent trip to Cape Town I finally had the chance! 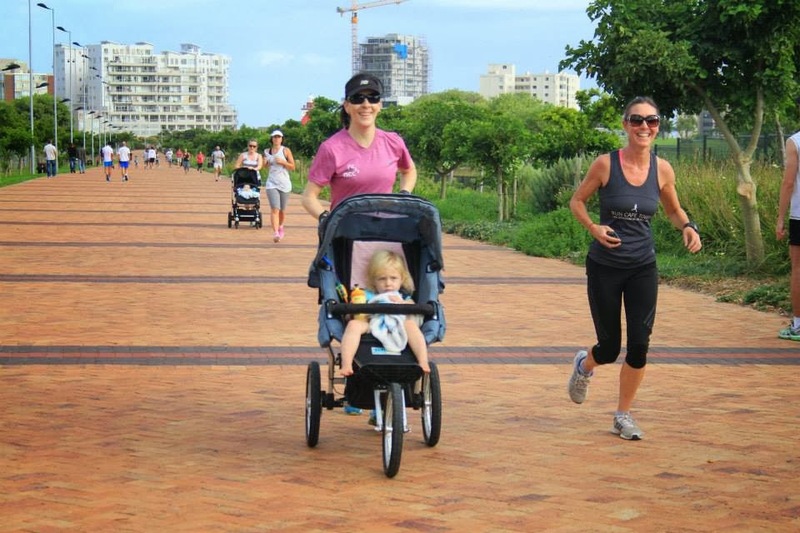 After corresponding with Philippa about potentially doing a tour, she suggested that we do the Green Point parkrun together - a safe, stroller friendly option with some amazing views. I was thrilled about the prospect of finally doing my first parkrun - and what a wonderful bonus to double it up as a guided running tour! Philippa was kind enough to meet K and me at our hotel in Cape Town - I must admit that I was quite anxious about finding the parkrun venue all by myself... We were delighted to find a relatively big field of parkrunners of all shapes, sizes and running abilities at the starting point - what a wonderful concept! If you're not familiar with parkrun, it is a worldwide initiative that offers free, timed 5 km runs at specific venues at 08:00 a.m. every Saturday. Runners are required to pre-register on the parkrun website and are then issued with a unique barcode that is to be taken along on every parkrun. 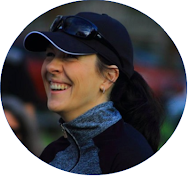 This code is scanned upon completion of the run, which allows parkrun volunteers to mail you your running time, placing, etc. after each run - love it! A relatively large field of runners of all abilities [photo courtesy of Run Cape Town]. We finished in a respectable 33:48 and I learnt later (after the results were mailed to all participants) that we were placed 108th and 109th out of 158 runners. We had a wonderful morning - hopefully the first of many parkruns and running tours with Run Cape Town! I love the concept! Hopefully it'll come to your part of the world soon! Awesome! There are quite a lot of park runs here in JHB. It is very popular. I wish we had one in Bloem too - hopefully soon!